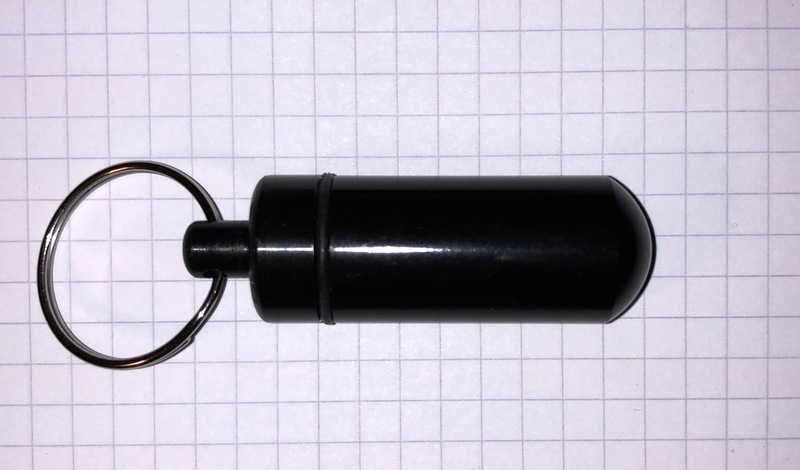 I’ve never been a fan of nano caches, those little-magnetic cylinders roughly 1cm tall and 1cm in diameter. I find them fiddly to open, the log is too small, and all too easily they become difficult to find. That said, they are awfully convenient. In towns, lots of convenient metal object have nooks in which a cache can be hidden, and if the object is made of iron or steel, magnet is a good way to attach it. So, I started attaching magnets to bison tubes, and thought it was about time I documented the process. The basic idea is to attach a couple of neodymium magnets1 to a standard bison tube with heat-shrink tubing2. You can see the result above. 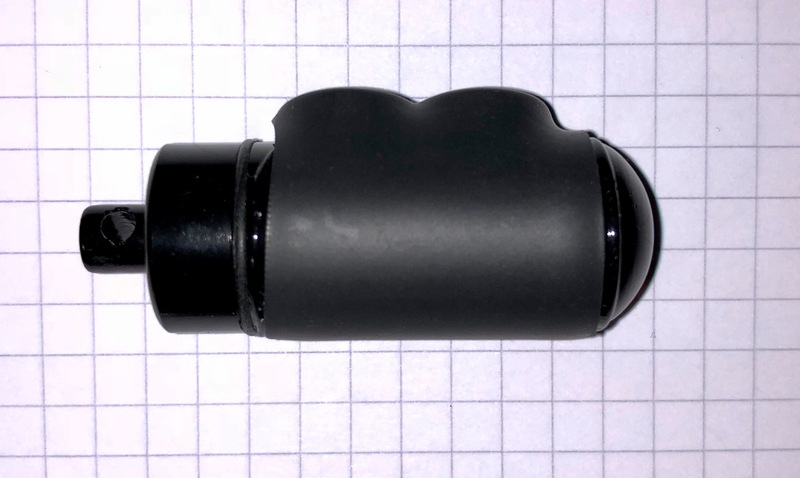 The standard bison tube available in the UK in early 2018 has a diameter of 16.8mm, though I think in the past they were a bit thinner. WARNING: Neodymium magnets can be dangerous. eBay has loads of people selling magnets. I used N52 discs 10mm in diameter and 3mm thick. The N52 designation tells you how strong the magnet is: N52 seems to be the strongest widely available grade. N35 is also common, and I think generates about 75% of the field. As you can probably see from the photo, I put two magnets in each cache. They are arranged in opposite senses i.e. one north pole and one south pole is exposed. Initially I thought that having the magnets in the same sense would be stronger, but this turned out to be wrong3: the anti-parallel alignment is best. Although the 3:1 shrink ratio is overkill, the adhesive lining seems to seal the cache after shrinking. You need to heat the tubing to at least 70°C, but there’s no need to exceed 110°C. I used a crude DIY oven set to about 95°C and all seemed well. You could also use a hot-air station. Most of the shrinking happened within three minutes, but I left some tubes in the over for much longer without any apparent ill-effect. Some Neodymium magnets appear to have Curie Temperatures5 of around 100°C so there is a risk of destroying the magnets. The heat-shrink is sufficiently close to the bison that I found I didn’t need anything extra to hold the magnets in place. Assuming that is that they were arranged in opposite senses so as to attract each other. The heat-shrink needs to be cut short enough that it doesn’t overhang the curved end of the bison. Otherwise when the tube shrinks, it pulls the tube towards the curved end leaving the magnets exposed. As mentioned above, you do need to take care with the magnets. Wikipedia has an explicit hazards6 section on it’s magnet page. I also include a non-exhaustive list below. Although these magnets are small they are easily strong enough to give you a nasty nip if your skin gets caught between them. Another potential problem is the magnets shattering if dropped, or if one flies into another. In general you need to remember that modern magnets are strong, and the forces typically increase as distance decreases. So, if something is sufficiently attracted to start moving, it is likely to accelerate very rapidly. That applies to magnets, but also to small steel things like screwdrivers and knife blades. I tried, without much success to wrap plastic sample containers. The basic problem seems to be that even if the container doesn’t melt, it does become flexible, and thus gets deformed as the tubing shrinks. Were I trying it again, I’d experiment with a short immersion in boiling water in the hope that the tube didn’t have time to melt. Revised by Martin Oldfield on 31 Oct 2018, original version 13 Feb 2018.